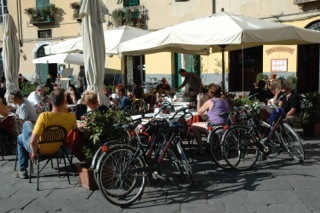 Gusto Cycling Offer a wide range of Tuscany cycling options to suit all tastes. 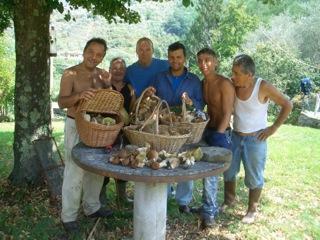 Tuscany has it all, History, Art, Culture, amazing gastronomy and great wine! plus the added bonus of enjoyable cycling through its varied countryside and medieval places which have hardly changed for over 600 years! 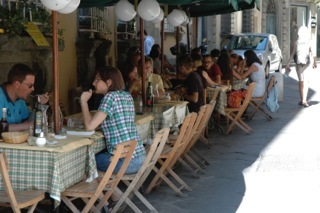 Its no surprise that Tuscany is so popular and draws people from walkers and cyclists. Its undulating countryside, hilltop medieval towns with rewarding and far reaching views is a satisfying end to great days cycling as your own leisurely pace. Its a relaxing holiday where you stop for a cappuccino when like, have a relaxing lunch when ever you want, enjoy a wide variety of accommodation from agriturismos’ to fabulous villas and hotels to suit your budget. At night after a day of discovery enjoy a delicious pasta and a glass of wine from one of the many vineyards dotted all over the countryside. The emphasis is to discover, enjoy and admire Tuscany and all its cultural treasures as you cycle along quiet country roads, some are undulating of course. A new feature in 2014 is the introduction of electric bikes which has proved more and more popular for those who want to enjoy a cycle experience with their partner or friends and still keep fit! 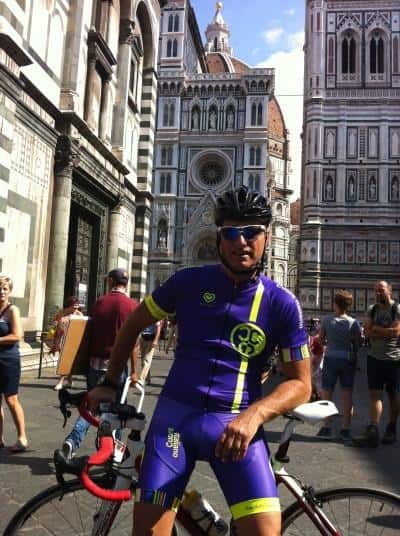 I’ve been a avid cyclist all of my life, I started my cycle business in 2010, my style and attention to detail has seen my business grow year on year , what is particular nice apart from the very positive feedback is that i am now beginning to see repeat customers returning for different itineraries or via recommendations or who are using my services again for of Tuscan Bike Rental. Tuscany has some of the most iconic locations, i would like to give you some information to gauge your interest in what type of cycling you would like to do and for how long you would like to cycle each day. There are two distinct type of cycling holidays in Tuscany…you can shorten the cycling easily to 3, 4, 5 or 7 days as you wish. 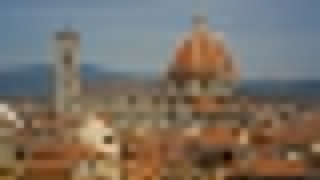 Day 1 – Arrive in Pisa/Florence airport – transfer to Lucca and stay inside the medieval walled town , its the home of Puccini and every night there is concerts and recitals a small event paying homage to Puccini & Verdi by have a short opera in the beautiful church of San Giovanni located inside the medieval walled town. Day 8 – Check out of the hotel and take the train to Florence and your onward destination. I always try and stay off as much of the main roads as possible but there will be some traffic on some sections especially entering exiting Lucca, Montecatini and Siena. I have produced similar tours for families, distance are short from 35 – 70km depending on the day. To really find quiet roads then you have to look at starting in Tuscany South. 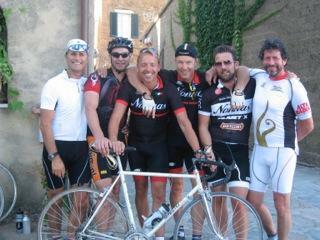 Day 2 – Cycle to Chianti area, One of Italy’s Most Famous Wines. Chianti wine is one of the most appreciated wines around the world. 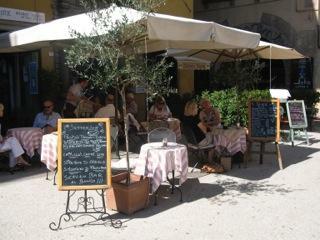 stay inside the medieval town of Radda in Chianti in the heart of Chianti and stay inside a fabulous 4 star hotel. Day 3 – Cycle around the Chianti area – visiting 3 different wine estates and Gaiole in Chianti, its not a long cycle day but a nice and fun day out to relax amongst the vineyards and enjoy lunch. 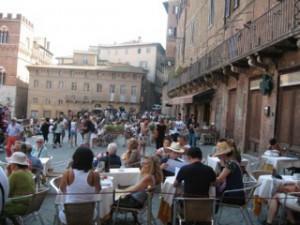 Day 7 – Cycle to the imposing medieval hilltop town of Montepulciano, Italy. Surrounded by vineyards, it’s known for its Vino Nobile di Montepulciano red wine. For lunch and return to Pienza. Day 8 – Cycle to Montalcino and discover the beautiful medieval town, one of the most evocative towns in the Val d’Orcia with stunning views of the countryside – Montalcino is home to the world famous Brunello di Montalcino Wine that defines this tiny Tuscan outpost. 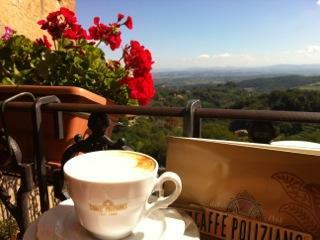 Contact us today about booking your Cycling Holiday In Tuscany. * Arrange the luggage to be delivered to your next location – no need to worry this is being taken care of. * Specially create routes with locations for coffee and lunch and wine visit where appropriate via GPS cycling application which you can download to your Garmin or Iphone. it’s very easy i’ve used in throughout 2018 and it worked very well with my clients. All you need is an iphone cycling mount to place on the handlebars.